Mexico's wildly varying coastlines hold more than meets the eye. But what? 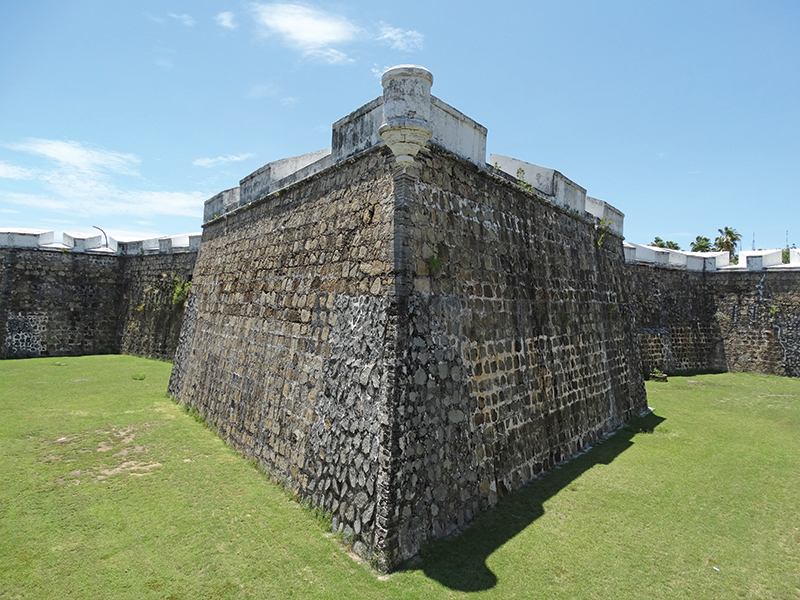 The star-shaped Fuerte San Diego in Acapulco is just one historical piece of architecture Mexico cruisers can visit. 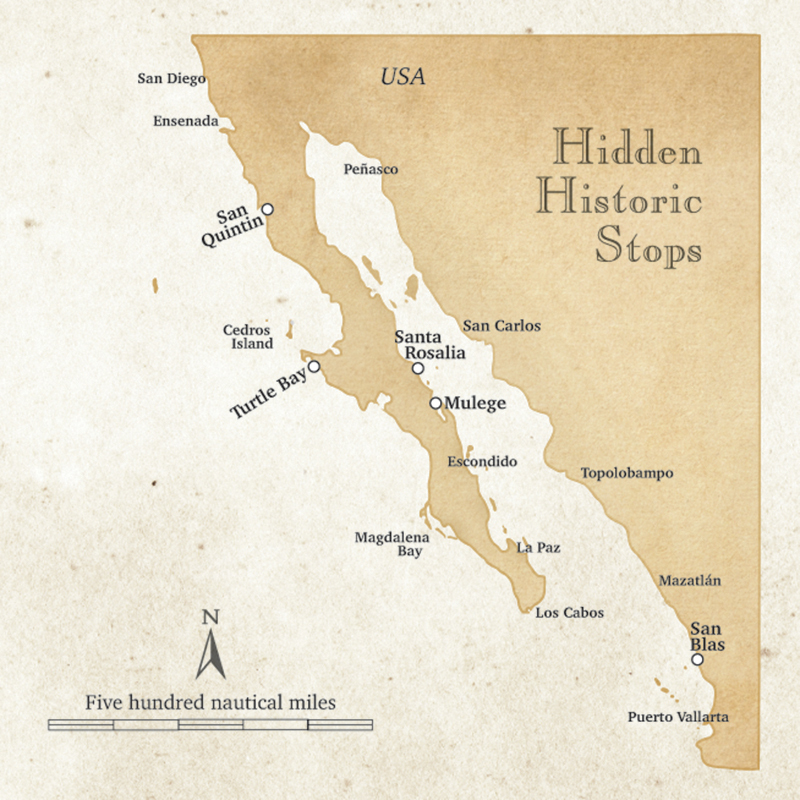 This month, we’re going to look at three of the regular Mexico boating stops, but this time we’re going to peek behind the scenes to reveal their lesser known but perhaps more interesting history, some of which is hidden in plain sight. It’s not just about the history, though, because some evidence remains for boaters to see today. Did you know that British colonists once farmed wheat here? In the late 1800s, Mexico still had so much unexplored land on its west coast that it sought foreign investors to develop it. In 1880, the British government, experts at colonialization, sent 200 volunteers willing to try their hand at wheat farming. As a child, Margaret Brown Baldwin came by steamship to San Quintin, where “the Lower California Company had planted wheat fields, built a hotel [and grist mill], opened up a salt mine and started a railroad to Ensenada. The hotel was a large one, elegantly furnished with red plush chairs and couches, and beautiful plants and eucalyptus in the garden. By 1900, the wheat failed to thrive, so the colony was shut down, forfeiting all it had done. Today, boaters can visit the original Old Mill (restaurant, RV park, boat launch). Next door is a museum of archeology and anthropology; visitors will find photos and artifacts from the English colony and native tribes, and even Pleistocene fossils. The Old Pier is gone, but a locomotive lies buried in the shallows where it once loaded wheat onto barges. Who knew that a Japanese fisherman built the town’s big pier? Kondo Masaharu** wasn’t an ordinary fisherman. He held degrees in fishing and oceanography from Tokyo Imperial University, and had toured the world and studied fisheries technologies. In 1913 he ordered the 60-ton schooner Chistose Maru to sail from Japan to Turtle Bay with 43 Japanese abalone fishermen. Kondo introduced old skills and tools to a new land. 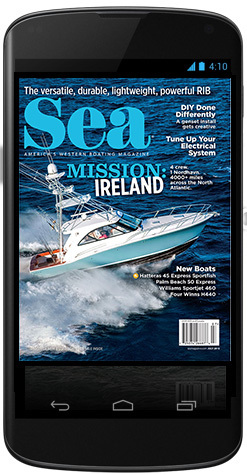 First were glass-bottomed boxes that let his fishermen view the seafloor 25 feet below. Next were long, flexible bamboo poles with a steel hook on the end. Kondo’s men worked two to a boat; one rowed while the other, in a dive suit with heavy metal hood, used the hook. 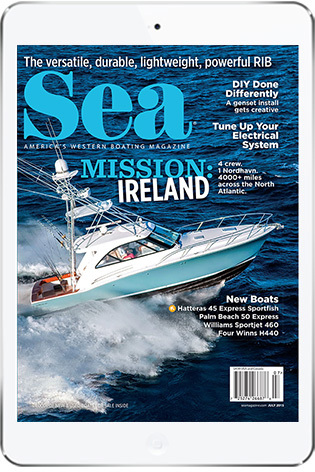 These innovations allowed each boat to pull in a ton of abalone per day. With funding from Japan, Kondo hired local fishermen to dive for abalone and lobster from Magdalena Bay, Asuncion and Isla Natividad up to Cedros Island. He added tuna fishing with bamboo poles in the 1920s. In 1928 he built the cannery and a 500-foot-long pier, commemorated by five-peso coins stamped “Kondo Bahia Tortugas.” But in 1931, the Mexican government seized the cannery and it burned down. It was rebuilt in 1933 by Mexican interests, and it ceased operation in the 1980s. 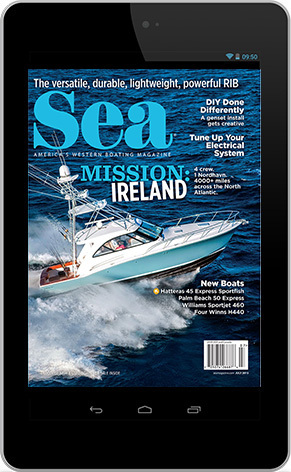 Today, boaters regularly take diesel from a 500-foot pier that a Japanese fisherman built. 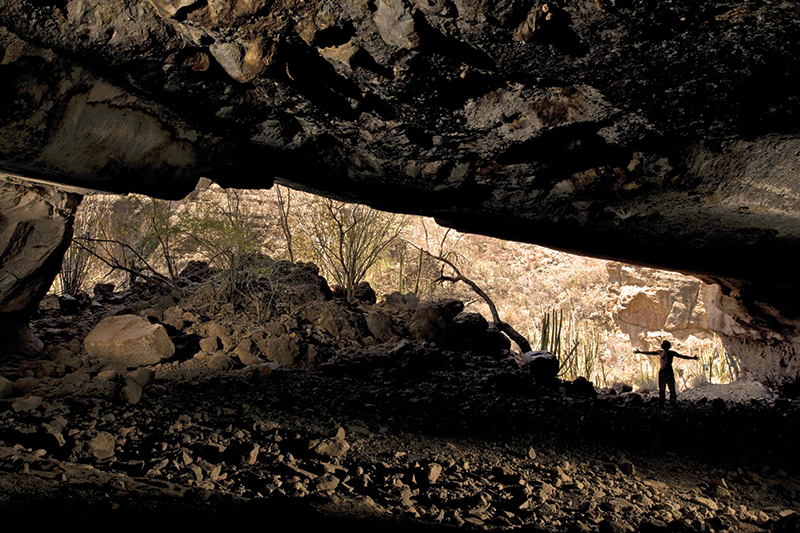 Cave paintings outside Santa Rosalia give adventurous visiting boaters an opportunity to see some of the region’s native cultural past. Who remembers the last poem written by Henry Wadsworth Longfellow? Boaters should feel personally addressed, because it begins, “What say the bells of San Blas to the ships that southward pass?” It’s a 20-verse lament of the church’s waning influence, because in 1882 when Longfellow visited San Blas, Nayarit, the Spanish church on the hill was already unattended and in ruins, and he died that same year. 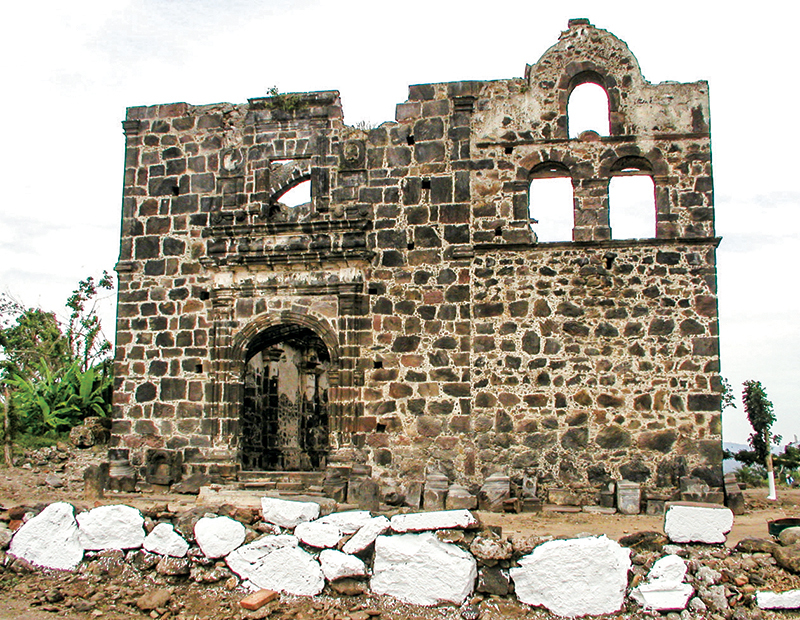 San Blas boasts a historical church on a hill. It was already old and run down when Longfellow commemorated it in verse, in 1882. Today, boaters can easily visit the ruins that Longfellow immortalized. Grab a comfy slip in Marina San Blas a mile inside the renovated harbor. The church is one and a half miles away, so take a taxi or walk east on the main highway, but turn right before the bridge and go uphill past the Tovara panga docks and the cemetery. Longfellow’s church, now Holy Rosary, is on the right and still unattended. It’s a free attraction, so there’s no ticket needed, and it’s a nice place for contemplation. 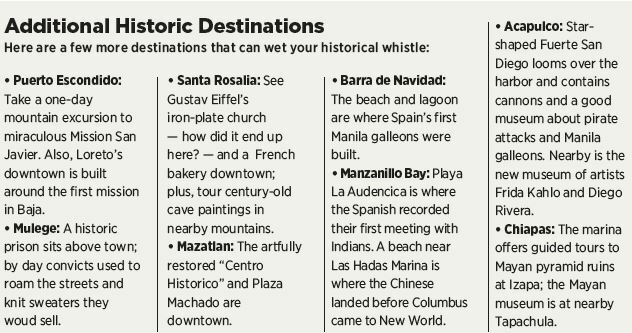 Continue to the top of the cliffs to Fort Basilio park, complete with historic cannons pointed down at the harbor.